There’s only 20 days to go until the man in red arrives. Things are heating up as you finish buying presents, Christmas dinner to prepare and events, nativities and parties to attend. All of these cost money. But don’t despair, creativity and personal touches are free. So here’s how you can create an enchanting Christmas and make memories you’ll never forget, without breaking open your piggy bank. Ready, steady, bake a merry Christmas! 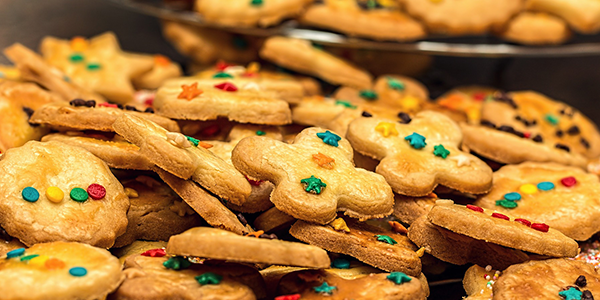 It might seem that we all be end up with soggy bottoms when giving baking a try, but making your own festive treats good enough to eat is simple and cheap. Not only is baking with your children, friends or family fun, it’s also a great way to make thoughtful presents for teachers, friends and colleagues. Why not give this BBC Good Food recipe for snowflake biscuits a try? They’d make a unique gift in this year’s Secret Santa! We’ve all seen that house in the street that has its lights aglow from late November. An eight foot tree twinkling in the window and every inch of brick illuminated by fairy lights. It’s tempting to try and keep up with the Joneses but is it worth blowing your budget to ensure your home is seen from space? You can still spread Christmas cheer in your home without forking out lots of money. Take inspiration from years gone by and the magic of building paper-chain bunting with coloured paper or scraps of wrapping paper. Handmade and homemade decorations give that personal touch to your decorations that you can’t buy. Plus it’s something hands-on that will keep little ones busy for a few hours too… what isn’t to enjoy? 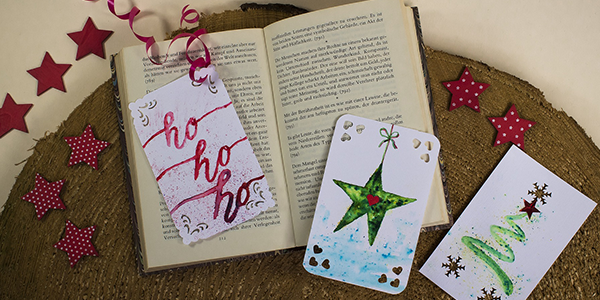 You’ll be surprised what you can do with some coloured card, a pair of scissors, some glue and glitter! Here’s a handy video on creating some handmade decorations. There are so many classic Christmas movies to choose from and there will be plenty on TV to watch. Is there anything cosier than being snuggled up on the sofa in the run up to the big day? 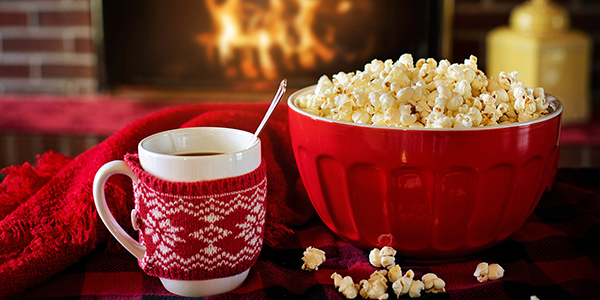 Why not put the kettle on, munch on some of those home baked snacks and have a Christmas movie marathon! How many Christmas movies have you seen? Take this quick test to see and discover more. Keeping Rudolph and friends fed. On Christmas Eve, Santa rushes from house to house to deliver presents. And his reindeer will need a quick snack to keep them going on their busiest night of the year. Why not encourage your family to leave wildlife friendly food out for the reindeer and their friends in the garden? What’s great is that you don’t need to go and buy special food. It’s more than likely you have just what they love in your cupboards already and make some delicious snacks for them to put out in the garden. The RSPCA have come up with some reindeer and wildlife friendly snacks that you can make. Click here to get the recipes. …When all through the house, not a creature was stirring, not even a mouse. Published in 1823, this enchanting Christmas poem has been helping parents create festive magic for almost 200 years. The poem is the perfect one to read to your little ones as they snuggle down into bed. You can get the whole poem via the TeacherVision website or click here. Santa doesn’t always have to come down a chimney to deliver his presents. You can pick up a plastic key, decorate it with festive ribbons and some glitter. 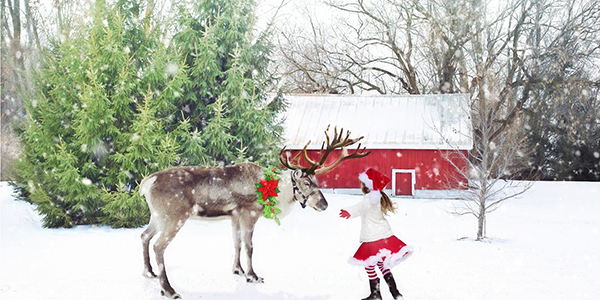 Leave it by your front door on Christmas Eve so Father Christmas can make his entrance and drop off the presents. You can watch this video from Nellie Bellie on how to make Santa keys.